General Parking: At the intersection of Truxtun Avenue and L Street, go south on L Street and then turn left into the first available parking lot, located north of the railroad tracks. Park in the open parking lot. 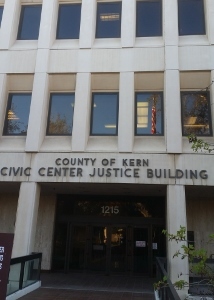 The Superior Court is located on the southeast corner of Truxtun and L Street. Enter the building from the south-side entrance. Below is the Google Map to the Bakersfield Metropolitan Division Justice Building.